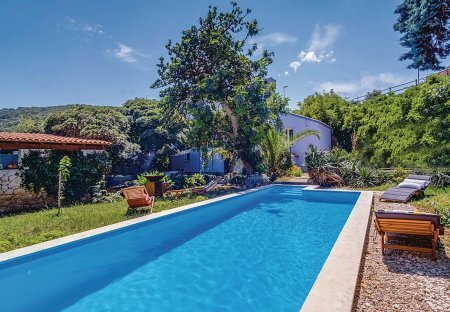 This small and cosy holiday home is located on the island of Mali Lošinj. The pool located on the plot invites you to relax. There is also a Finnish sauna and a whirlpool. This spacious holiday apartment is on the ground floor of a house located in a quiet area of the beautiful island of Lošinj. This comfortable holiday apartment is located on the first floor of a residential building in Mali Lošinj. It has a wonderful terrace closed with window facades and a panoramic view of the sea. In a nice residential area in Mali Lošinj are these holiday apartments. Both are pets welcome and located on the first floor. 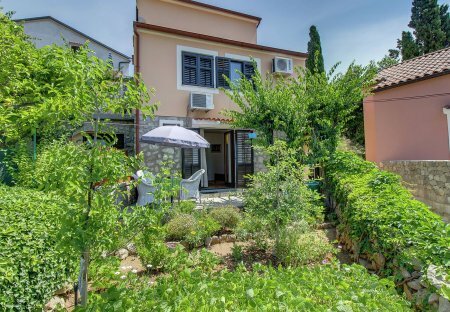 Spend a nice holiday in this nice and romantic terraced house in Mali Lošinj. On the ground floor is the living area with kitchen. Overlooking Cikat Bay and occupying a commanding position that couldn't be much close to the water's edge is palatial Villa Sivo.